Straight is the path and narrow is the gate that leads to eternal life. Wide is the gate and path that leads to destruction. Alandrax read this verse in the Bible and painted a picture similar to the one shown. She was constantly tempted to take the red passion entrance because she had a sexual obsession, but most people she knew entered the unrestricted gate, where they did practically anything they wanted to do, in all areas of life. They avoided any insight or knowledge about religion or God, but ignorance wouldn’t save them because God’s truth was known world wide now, which was the revelation about when Christ would return to earth. As written in the Bible, the nations of the world are combining for Armagedden, the battle in the Middle East. Russia, United States, France and other nations are realizing that only through cooperation would they have a chance of defeating their enemy. The battle area will run red with blood, says the Bible, but more importantly, it is the beginning age of the anti-CHRIST. People who have chosen against worshipping God and the Trinity will be “forced” now to worship the anti-CHRIST. They will also be forced to have “the mark of the beast” the computer chip under their skin, which has already begun in some countries. The only way to escape is through a relationship with God, YourCrestor, and the narrow path and gate. 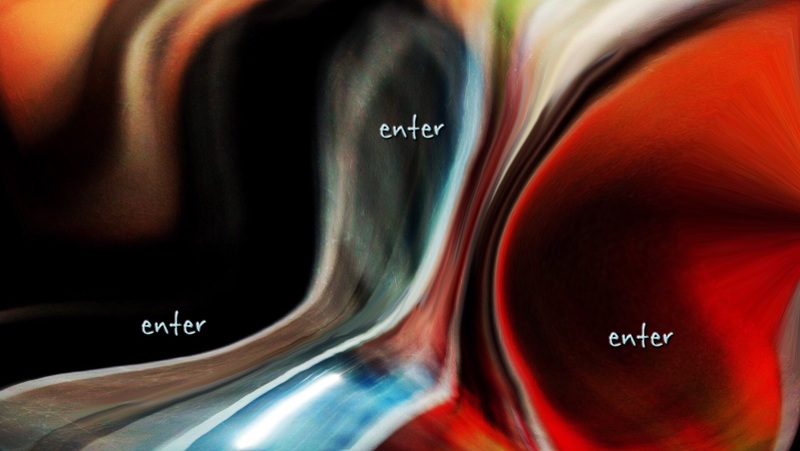 Each path has an “enter” sign, it is up to your freedom of choice, which one you choose.